Choose the way your range will expand, use INDEX or OFFSET and choose the anchor cells. 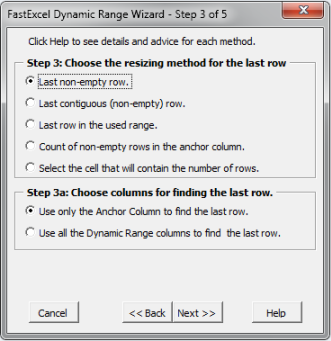 The resizing methods allow for stacked or irregular tables and tables containing empty cells. 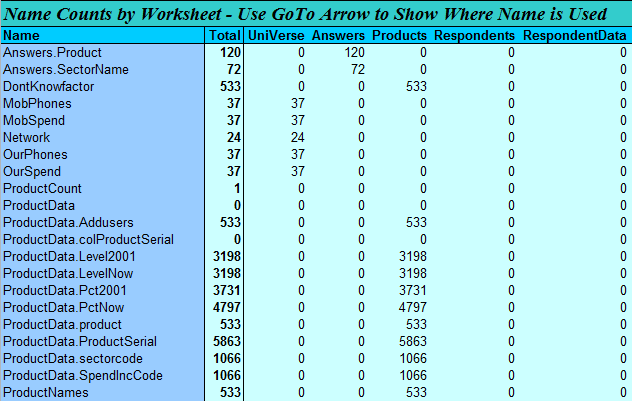 Find out where in your workbook and how many times your Names are being used. 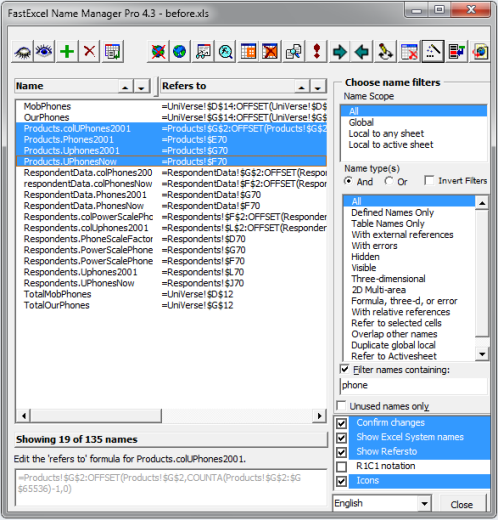 Note: the trial version of FastExcel V3 profiler does not enable Profile Workbook, Profile Worksheet and Profile Formulas, and the Drill down wizard will only profile a single worksheet. 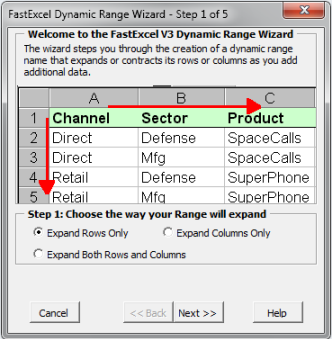 You can convert the trial version of FastExcel V3 to a fully licensed version at any time by purchasing one of the FastExcel V3 licensing options.